Less than a year after NASA’s TESS spacecraft was launched, the scientists behind the mission have unveiled their third confirmed planet, a weird alien world that’s between Earth and Neptune in size. And hundreds of additional potential finds are in the pipeline. The latest exoplanet on the list is HD 21749b, which orbits a star that’s about 80 percent as massive as our sun, located about 53 light-years away in the southern constellation Reticulum. 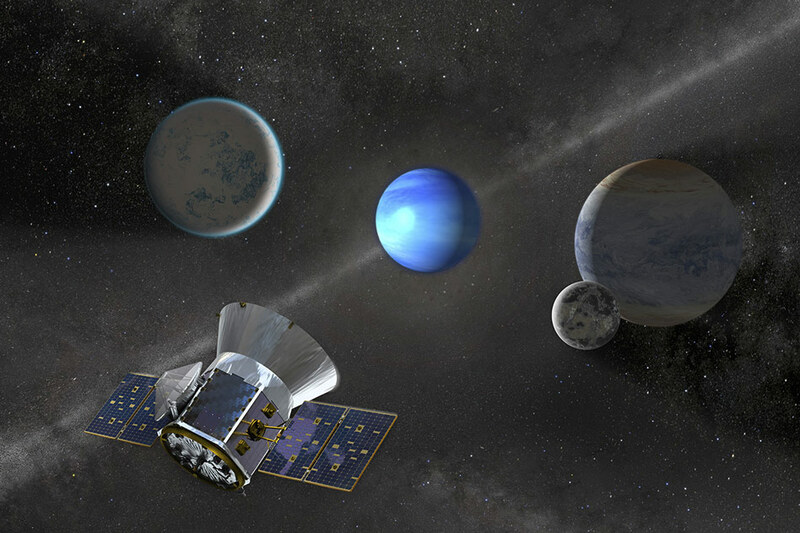 Its 36-day orbital period is a record high for the TESS mission. The “sub-Neptune” planet is about three times Earth’s size, but 23 times its mass. In comparison, Neptune is almost four times as wide as Earth but only 17 times as massive. This entry was posted in GeekWire and tagged AAS, Astronomy, Exoplanets, planets, Space, TESS. Bookmark the permalink.